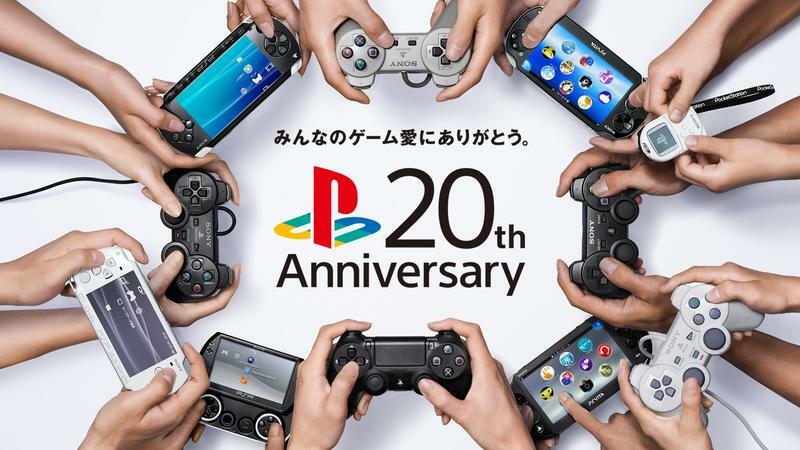 PlayStation 20th Anniversary Montage - "Thanks for Loving Games"
Someone has a 20th birthday in the coming month! I'm looking at you, PlayStation! Sony has released a brand new video covering 20 years of PlayStation games called "Thanks for Loving Games," as if I couldn't get any more nostalgic than I've been feeling these days. The PlayStation released in Japan on Dec. 3, 1994 with the intentions of shaking up the power structure of the video game industry. Nintendo, deciding to abandon the CD based market to continue making cartridges, was met with fierce competition once all of its heavy hitting third-party support abandoned the expensive practice. Its Nintendo 64 console launched a full year and a half later, and many of Japan's best and brightest had already adapted to Sony's ways, never looking back. It's essentially been this way ever since. Nintendo has lagged behind Sony on the sales market, except for the Wii's early years, and third-party support never really found its footing on Nintendo consoles again. The PlayStation launched in America in Sept. '95, a year before the Nintendo 64, sporting games like Tomb Raider and promises of Final Fantasy VII, and the American market never looked back either. I would like to talk about some nostalgic memory of my first PlayStation experience, but the thing is, I already did that yesterday. My parents allowed me to rent one for a weekend, and I was heart-broken to find out that you needed memory cards to save your Final Fantasy VII game! I took the game back to Microplay in tears, and the sales clerk recommended I pick up Soul Blade instead. From there, it evolved into Final Fantasy Tactics, SaGa Frontier, and the JRPG boom of the late 90s hit me like a ton of bricks! This video focuses on everything from Space Invaders to Dragon Quest VII, the console's best selling game in Japan, to the PlayStation 2's ICO and the PlayStation 3's Metal Gear Solid 4: Guns of the Patriots. It's been a wild ride with the PlayStation name brand, and it took a little convincing, but I think I'll still around for this generation as well.